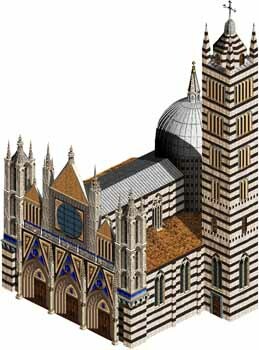 This is an slp of Siena Cathedral. The base size is quite larger than normal wonder. I use parts of Carcoma Spanish set and Italian wonder/Age of Chivalry genoese wonder. The zip includes a bigger preview. Looks great! Very faithful to the real one!